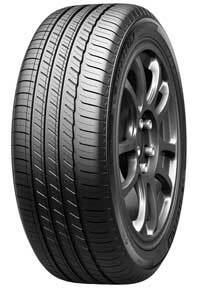 We carry many name brand tires to serve the Sandersville, Georgia area. Check out what tires fit your vehicle. > Check out our Tire Catalog! Belts, hoses, oil changes and more! Use our easy to use service catalog to find the service your vehicle needs. Save more money! Check out our current coupons, specials and promotions to start saving today! 1 out of 4 premium vehicles sold in North America is equipped with MICHELIN® tires. MICHELIN Primacy™ tires are the Number 1 choice among top vehicle manufacturers for their premium and luxury models. Enhanced ComfortControl with PIANO Noise Reduction Tuning combines frequency cancelling shoulder grooves and block chamfers with ultra smooth belts resulting in an exceptionally quiet ride. The MICHELIN Primacy™ Tour A/S has the quietest tread design among leading competitors. Latest generation of advanced rubber compound maintains tread block flexibility in cold temperatures to help grip on snow and ice, while sharp lateral groove angles bite into snow to handle turns with confidence in winter conditions. 17 per cent better snow traction than the MICHELIN® Primacy™ MXM4®. Lee's Brake, Muffler, and Tire Service is a pillar of the Sandersville GA community. Lee's Brake, Muffler, and Tire Service is a leader in offering name brand tires, wheels, auto repair and towing services for customers located in and around the Sandersville, Georgia area including Tennille GA, Davisboro GA, and Bartow GA. Our goal is to focus on customer service. It is the foundation of our business. Lee's Brake, Muffler, and Tire Service employs a well-trained staff specializing in the sale and installation of passenger car, performance and light truck or SUV tires. Custom wheels are available at Lee's Brake, Muffler, and Tire Service. Special wheels and rims compliment any tire or customer vehicle. Complete under-car services, such as oil changes, brakes, shocks, struts, alignment, and transmission fluid flush for both foreign and domestic vehicles are readily available at competitive prices. Don't forget about our towing services for when you need roadside assistance. Take this opportunity to browse Lee's Brake, Muffler, and Tire Service website or call our store for personalized service.